Hello! And thanks for taking the time to read my first post on our new combined blog! I thought I would start things off with a work in progress. My Grundstock Gunhauler. I purchased this sky-fleet before Christmas as a “Merry Christmas to me!” type gift. Why? Quite literally because I love the way they look. I’ve wanted them ever since I first saw them after release and have waited patiently (don’t confirm that part with AK) until a more cost efficient option became available. 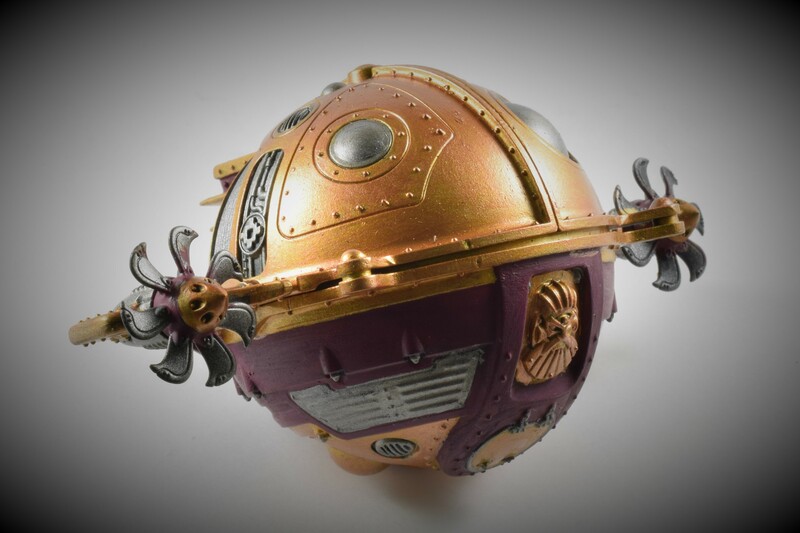 Then, along came Christmas with all of its Christmasy joy – ’twas the season for some bargain deals with Games Workshop, and before I knew it, I was the proud owner of some Kharadron Overlords. My idea for these hunky little fellas is to take my time, construct one thing and don’t even look at anything else until it is sprayed, painted and based. How is this going for me you might ask? Well I have already completed one model (more on him in the future) and this here gunship is model number 2. Look at me go! I figured with this model that it would be best to paint it in three separate parts. I’ve sprayed both with Leadbelcher and started work on the top half. Tonight, I will attempt to finish this portion of the model off and start work on the bottom portion over the weekend. Yeah buddy! That is definitely my next purchase, it is a stunning model. Looking cool. The Overlords is an army I would like to have, the models are really great but I just can’t justify it. It will be great following this project.